McKAY, THOMAS, mason, architect, businessman, politician, justice of the peace, militia officer, and office holder; b. 1 Sept. 1792 in Perth, Scotland, son of John McKay and Christina —; m. 20 June 1813 Ann Crichton, and they had 16 children; d. 9 Oct. 1855 in New Edinburgh (Ottawa), Upper Canada. On leaving school Thomas McKay was apprenticed to the mason’s trade. Induced by the depression which followed the Napoleonic Wars, he and his wife immigrated to Lower Canada, arriving on 9 Sept. 1817 and settling in Montreal. McKay gained contracting experience on the Lachine Canal (1821–25), in partnership with a fellow Scot, John Redpath*, and on the fortifications at Île aux Noix (1821–26), in partnership with Peter Rutherford. McKay later contested the legality of that association, including any profit-sharing agreement, and in the resulting litigation, brought by Rutherford’s executors in 1840, he was awarded judgement. In 1826, attracted by the planning of the Rideau Canal, McKay came to the construction camp on the Ottawa River which within months was to be named Bytown (Ottawa). He soon formed a partnership with Redpath, Thomas Phillips*, and Andrew White* to execute various works on the canal, with McKay’s responsibilities centring on the Bytown area. He was selected in the fall of 1826 by Lieutenant Colonel John By* to perform the masonry work on the spectacular tier of eight entrance locks, rising 81 feet from the Ottawa River to a canal basin. The work was to be finished in two years but delays were caused during excavation by underground springs and it was not completed until 1830. Stone for the locks was to have been transported across the river from Hull but McKay persuaded By to authorize the use at less cost of stone quarried at the site, resulting in enormous profit to McKay and his partners. Regarded by John Mactaggart* as a “good practical mason” who scorned “to slim any work,” McKay was entrusted as well with the construction of the locks at Hartwells and, on the failure of the previous contractor, Walter Welsh Fenlon, with the locks at Hogs Back. In 1828, during a lull in construction at Bytown, he set his masons to work building the settlement’s first Presbyterian church, St Andrew’s, in Upper Town. He also built two of the seven spans of the Union Bridge across the fathomless, boiling cauldron of the Ottawa at the Chaudière Falls. By, who was pleased with the quality of his canal work at Bytown, celebrated its finish with a gala banquet, at which an ox was roasted whole and served in a standing position. On the completion of the formidable Rideau project in 1832, McKay and Redpath received an engraved silver cup from By in recognition of their services. According to John Glass Malloch, a Perth lawyer, in 1841, McKay made about £30,000 from his work on the canal. 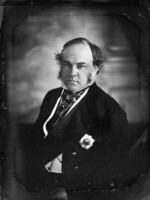 Although McKay remained involved in various Montreal-based businesses, including the Ottawa and Rideau Forwarding Company, he had moved his family to Bytown in 1827. Two years later he began acquiring property near by at the falls of the Rideau River and by 1832 he had constructed a sawmill there. An extensive, water-powered flour-mill was built on the opposite bank in 1833 and a bakery was erected a year later. The lease of an island near the falls in 1836 and the acquisition of surrounding land over the next two years gave McKay complete control over the mill site. The five-storey flour-mill had a large productive capacity and served a wide region along the Ottawa River and the canal. In 1834 Edward John Barker* of Kingston observed that it was “presumed to be the best in Upper Canada,” superior even to the mill at Gananoque of John McDonald, who competed with McKay in purchasing grain through agents along the canal. In 1837 McKay added a distillery and the first cloth factory on the Ottawa, in which he later installed power looms. Satinette from his factory won a medal for quality in 1851 at the Great Exhibition in London, England. In 1843 he had enlarged his timber resources by securing a limit on the Rivière Gatineau and about 1846 he formed a partnership with a son-in-law, John MacKinnon. A year later a new sawmill was built for the firm at the Rideau Falls site by Joseph Merrill Currier*. Within two years the sawmills were undergoing expansion to accommodate the production of shingles, doors, window sashes, and blinds. McKay and MacKinnon also actively promoted the first railway into Bytown, the Bytown and Prescott Railway, which was incorporated in 1850. Although they had sufficient influence to secure its terminus near their mills, the railway, largely financed by Boston interests, proved unsuccessful in diverting the flow of lumber from Montreal and Quebec. In 1852 the partnership with MacKinnon was dissolved. As McKay’s industrial complex developed on the east bank of the Rideau River, so did the surrounding settlement, which he laid out into lots about 1834 and named New Edinburgh. He was not only a highly successful contractor and entrepreneur but an architect of some distinction. Rideau Hall, completed in 1838 on a 65-acre estate at New Edinburgh, was a refined Regency-style villa, executed in limestone and freely adapted from a design by the British architect Sir John Soane. The stately mansion, also known as “McKay’s Castle,” contained more than 11 rooms, including a drafting-room and a parlour from which the skirling notes of the bagpipes played by the lord of the manor reportedly sounded through the surrounding woods of a summer’s evening. The house and property were leased to the government in 1865 and purchased three years later to form the nucleus of the official residence of Canada’s governors general. A second stone residence, built by McKay about 1854 for John and Annie MacKinnon, was purchased by Sir John A. Macdonald* in 1882 and named Earnscliffe. McKay was as active in public life as in business. He was a member of the municipal council formed at Bytown in 1828, became a justice of the peace in 1833, and a year later was elected to the House of Assembly for the Ottawa River riding of Russell, which he represented until 1841. 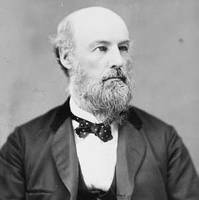 A tory and an active member of the Constitutional Association in Montreal, he supported the legislative union of Upper and Lower Canada. An indication of his tolerance was his support in 1839 for a share by the Roman Catholic church in the apportionment of the clergy reserves. 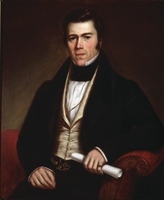 Concerning commercial matters, McKay prepared a report in 1836 on navigable communication from Bytown to Lake Huron [see Charles Shirreff*], urged public ownership of the Welland Canal, and served in 1837 on a select committee investigating navigation on the St Lawrence River. 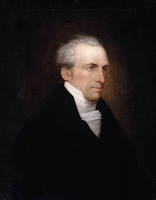 From 1841 until his death McKay served on the Legislative Council, in which office in 1849 he opposed the Municipal Corporations Bill, sponsored by the ministry of Robert Baldwin and Louis-Hippolyte La Fontaine*, and the Rebellion Losses Bill [see James Bruce*]. In 1842 McKay was appointed first warden of the new district of Dalhousie, which he had promoted politically and for which he had built the court-house and jail at Bytown. He was involved as well in numerous organizations, including the St Andrew’s Society of Montreal and the Bytown Emigration Society. A prominent elder in the Church of Scotland, he was a founding trustee of Queen’s College, Kingston. He served as lieutenant-colonel of the 1st Battalion of Russell militia from 1838 to 1846, when he was transferred to the 4th Battalion of Carleton militia, replacing George Lyon. On 9 Oct. 1855 McKay died of stomach cancer at Rideau Hall. He was survived for many years by his wife but, with the early deaths of his sons without issue, his direct line died out. Three daughters, however, had married notable figures: John MacKinnon, Robert Mackay (a Montreal lawyer), and Thomas Coltrin Keefer*. The management of McKay’s estate, which included the sale in 1866 of the New Edinburgh Mills to James* and John Maclaren, was assumed by Keefer, who, after the death of his wife, married MacKinnon’s widow. McKay’s career was multifaceted. A man of diverse talents and abundant energy, he was very much a “self made man,” in the opinion of the Montreal Witness, Weekly Review and Family Newspaper, and one who amassed much property and wealth but never lost the common touch. 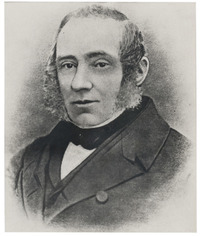 Known to one resident of New Edinburgh as “a ruddy faced, forceful man, who, when he had an objective, generally managed to reach it,” McKay was also depicted, by Andrew Wilson in 1876, as a straightforward and honourable man who was accessible “even to the humblest” but who “knew his place as a gentleman.” His obituary in the Journal of Education for Upper Canada, however, described his temperament as “neither cool nor certain” and rather uneven owing to his “humble” origins and rapid increase in wealth and social station. ANQ-M, CN1-7, 20 nov. 1831, 25 nov. 1833; CN1-175, 13 avril 1837; CN1-182, 17 nov. 1831; CN1-187, 31 mars, 1–2, 7 avril 1821; 21 janv., 21 févr., 20 mars, 21 juin 1822; 27 janv., 23 déc. 1824; 11 janv. 1826; 29 juin 1830; 9 févr. 1832. AO, MU 842, J. G. Malloch diary; RG 1, A-I-6, 24–25, 27; RG 21, Carleton County, Gloucester Township, assessment rolls, 1831–33; RG 22, ser.155, will of Thomas McKay. BLHU, R. G. Dun & Co. credit ledger, Canada, 13: 247. Carleton Land Registry Office (Ottawa), Gloucester Township, deeds, 1832–42, no.1147 (mfm. at AO, GS 3624). Ottawa, Hist. Soc., Bytown Museum Arch. (Ottawa), G. P. Drummond, “Bytown in the forties with glimpses of the thirties” (scrapbook of newspaper clippings). PAC, Library, Pamphlet coll., no.1944 (64) (J. E. Askwith, “Recollections of New Edinburgh” (typescript, n.d.)); MG 29, B6, 1: 13; MG 30, D1, 21; RG 1, L3, 320a: Mc6/115; RG 5, A1: 53657, 92907–13, 94457–63, 95611–12, 103045–47, 103554–55; RG 8, I (C ser. ), 44: 83–84. St Andrew’s (Presbyterian) Church (Ottawa), Reg. of burials, 1855 (mfm. at PAC). E. J. Barker, Observations on the Rideau Canal (Kingston, [Ont. ], 1834). Canada Gazette, 2 July 1842. E. C. Frome, “Account of the causes which led to the construction of the Rideau Canal . . . ,” Papers on Subjects Connected with the Duties of the Corps of Royal Engineers (London), 1 (1837): 73–102, with 4 plates. “The Honorable Samuel Crane,” Journal of Education for Upper Canada (Toronto), 12 (1859): 27–28. John Mactaggart, Three years in Canada: an account of the actual state of the country in 1826–7–8 . . . (2v., London, 1829), 1. Gertrude Van Cortlandt, Records of the rise and progress of the city of Ottawa, from the foundation of the Rideau Canal to the present time (Ottawa, 1858). Advocate (Bytown [Ottawa]), 4 Jan. 1848. British Whig, 20 May, 28 Oct., 11 Nov., 5 Dec. 1834; 7 March, 22 April 1837; 31 March 1838. Bytown Gazette, and Ottawa and Rideau Advertiser, 17 June, 18 Dec. 1841; 15 June 1843. Chronicle & Gazette, 11 Oct. 1828; 29 June, 16 Nov. 1833; 17 May, 17 June, 18, 26 Oct., 20 Dec. 1834; 18 April 1835; 17 Feb., 30 Sept., 7 Dec. 1836; 4 Jan., 11, 22 Feb., 4 March, 13 May, 21, 24 June 1837; 10, 13 Jan. 1838; 12 Jan., 30 March, 10, 27 April 1839; 12 Sept. 1840; 7 April, 12 June, 3 Nov. 1841; 12 Jan., 16 July, 17 Aug. 1842. Montreal Witness, Weekly Rev. and Family Newspaper, 17 Oct. 1855. Ottawa Citizen, 25 June 1853. Packet, 28 Nov. 1846; 15 May 1847; 15, 22 Dec. 1849. Tribune (Ottawa), 12 Oct. 1855. Lucien Brault, Ottawa old & new (Ottawa, 1946). E. F. Bush, The builders of the Rideau Canal, 1826–32 (Can., National Hist. Parks and Sites Branch, Manuscript report, no.185, Ottawa, 1976). J. L. Gourlay, History of the Ottawa Valley: a collection of facts, events and reminiscences for over half a century (Ottawa, 1896). Robert Haig, Ottawa, city of the big ears: the intimate living story of a city and a capital ([Ottawa, 1970]). R. H. Hubbard, Rideau Hall: an illustrated history of Government House, Ottawa; Victorian and Edwardian times (Ottawa, 1967). Robert Legget, Rideau waterway (Toronto, 1955). Marion MacRae and Anthony Adamson, The ancestral roof: domestic architecture of Upper Canada (Toronto and Vancouver, 1963). Ont., Dept. of Energy and Resources Management, History of the Rideau waterway (Toronto, 1970). Tulchinsky, River barons. Harry Walker and Olive [Moffatt] Walker, Carleton saga (Ottawa, 1968). 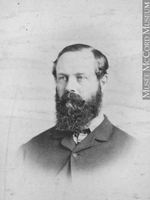 Andrew Wilson, A history of old Bytown and vicinity, now the city of Ottawa (Ottawa, 1876). F.-J. Audet, “The Honourable Thomas McKay, M.L.C., founder of New Edinburgh, 1792–1855,” CHA Report, 1932: 65–79. G. R. Blyth, “Bytown, 1834, to Ottawa, 1854,” Women’s Canadian Hist. Soc. of Ottawa, Trans. (Ottawa), 9 (1925): 5–15. O.-S.-A. Lavallée, “Historic review of ‘Bytown and Prescott Railway’ as Ottawa observes centenary first rail service,” Spanner (Montreal), no.209 (January 1955): 6–7. “Rideau Hall reminiscences,” Free Press (Ottawa), 21 Oct. 1878: 4. E. F. Bush, “McKAY, THOMAS,” in Dictionary of Canadian Biography, vol. 8, University of Toronto/Université Laval, 2003–, accessed April 24, 2019, http://www.biographi.ca/en/bio/mckay_thomas_8E.html.